As manic drums pound the background overture, the opening credits of Tabu announce that it is 'Told By' writer/director F.W. Murnau and writer Robert J. Flaherty. The pomposity of this opening should not be lost on anyone approaching this cold: Tabu is a skilled film and occasionally gorgeous but throughout it there is an air of condescension from an auteur looking down from on high. The second opening announcement detailing that 'only native-born South Sea Islanders appear in this picture' is noble enough, though it is immediately let down by the qualifier which displays Murnau's position, an amendment detailing that these natives partner, 'with a few half-castes and Chinese'. 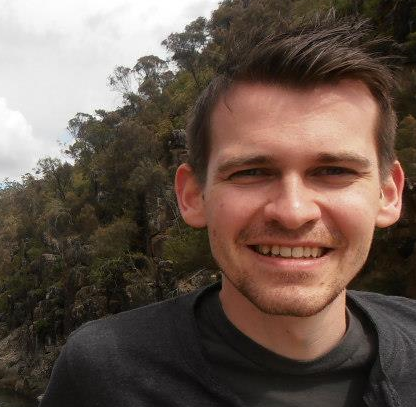 The language can, at least in part, be put down to the era, the dismissive attitude less so. Murnau's foray into these strange distant lands could also be further understood if he himself made motion to understand. Instead, the natives of Tabu have a rather traditional forbidden romance narrative imposed upon them, as Matahi attempts to elope with a recently-forbidden virgin (Reri, later Anne Chevalier). 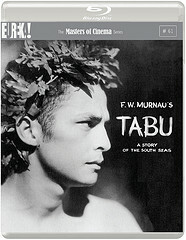 Tabu is a black and white silent film from 1931, but even then this story was getting old. With all that in mind Tabu still offers much to make it worth watching and is notably a fine example of storytelling in the silent medium. Few inter-title cards are used and many of them are intertwined with the narrative (letters, a scroll), leading to a much more streamlined and cohesive experience, particularly for irregular watchers of silent films. At a point where Reri is announced as the forbidden virgin, we are yet to learn her name, bur Murnau leaves us in no doubt of who the letter refers to, as Hitu and his hirsute companions impose on the screen. 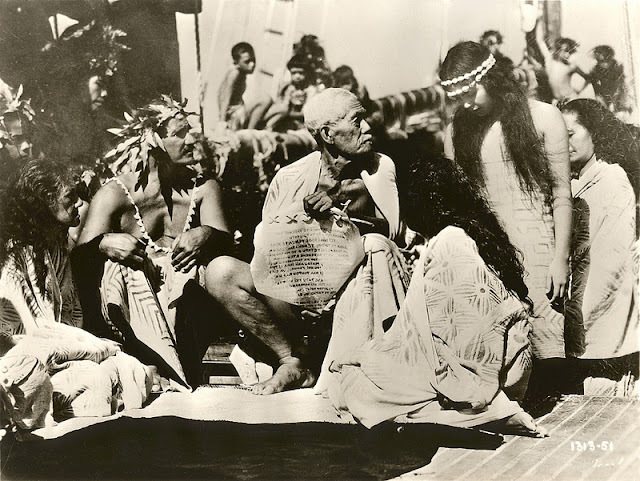 Floyd Crosby, who won an Oscar for his photography, shoots Tabu with a pleasant mix of close and far shots, including several mixed scenes of Matahi swimming, most notably when he is chasing Hitu's boat in the later moments of the film, a superbly choreographed sequence, which works splendidly. Eventually, as the film meanders towards inevitable tragedy, which it apparently can't immediately commit to, Murnau does start to lose his thin narrative. Two or three parties take up far too much of the screen time and show little of import or excitement, as a small handful of revellers pogo up and down slightly and an odd policeman character (Bill Bambridge) morphs into bandmaster. It's another oddity from the period, which will turn off many, though, on the plus side, the syntax and composition is more approachable than some films from the silent era.